With over 25 years of experience as a leading business entrepreneur, David Dehaeck is the Co-founder and CEO of Artfintech.one and co-founder of WUNDER. Dehaeck is passionate about decentralizing what is currently top-down centralized in the art market. His focus is on making the art market more inclusive and democratic while creating more liquidity for its creators and stakeholders. Currently being developed they are building the Patron Protocol and DAPPs for a digital art ecology that will create value from sharing art-based asset tokens. Dehaeck is also the co-founder of WUNDER, the first decentralized, autonomous blockchain-based museum. The name WUNDER derives from the 16th century concept of “Wunderkammers,” a concept they are looking to revive in a digital era. Hello David, thank you for speaking with us. Can you tell us a bit about yourself and the start-ups you have been involved in developing? My first start-up in 1996 acquired the electronic publishing rights of Mayer International Auction Records, AKA Catalogue Mayer or “The Blue Book” in the US. This authoritative yearbook had been publishing the auction results of the international art auction market since 1962. We first introduced a CD-ROM-based database with the data spanning the period 1987 to 1997 with some 1 million auction results from 800 auction houses from 40 countries. From there we introduced an online version of the database upon the request of our clients (mainly institutions), which resulted in the introduction of the artlibrary.com in 1995. Besides the Mayer database we negotiated the publishing rights to other prestigious titles like the Allgemeine Kunstlerlexikon, World Biographical Dictionary of Artists, Museums of the World, The Official Museum Directory, American Art Directory, International Directory of Arts and Who’s Who in American Art. 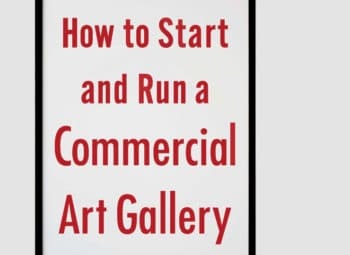 Artlibrary.com was the first online portal/aggregator in 1996 for the art world and in hindsight we were too early with this. Lack of micro payment services probably was the biggest barrier back then. This inspired us to introduce a license-based model for other art portals to provide access to our data, free of charge, on their site in return for an annual fee. In 1999 we sold the publication to our major client, icollector.com. Just in time as it would turn out, given that 6 months later the dot.com market completely crashed. After that, my life partner Nathalie and I decided to do something disruptive looking at different markets, namely the insurance market. We built a platform where insurance brokers could bid for the business of private and professional buyers. We eventually sold the platform to a major insurance broker group when it became a routine job. This made it possible to concentrate on our passion again, art. We wanted to develop a new exhibition model for contemporary art online. The idea was to build a platform that would, with the help of local curators, provide users with names of “promising” young and emerging artists from their area. Similar to CNN where local reporters share insights and information. We pitched the idea to Jan Hoet, who was immediately on board. This started our collaboration with Jan to launch the platform. We noticed people were responding, “exhibitions, curators, periodical updates like every 2 years.., ok so this is sort of an online biennial then” As a result we decided to call the platform BiennaleOnline. We knew Jan was popular with his colleagues, but the support we received far surpassed our expectations. We were overwhelmed with the interest from leading 29 leading art curators wanting to participate. 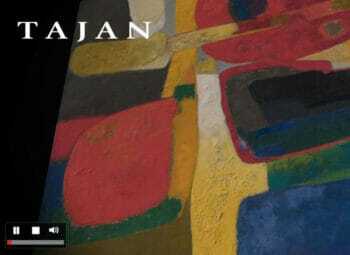 The exhibition attracted some 300,000 visitors and was covered by most major art related publications, dozens of radio interviews and even a few tv programs. 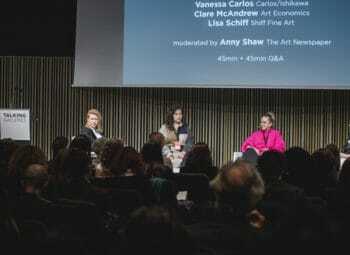 The success of BiennaleOnline proved that there needed to be a solution for digital art online. Another thing we noticed was that some of the most interesting young digital artists were reluctant to participate as they were not comfortable displaying their work online. Our current venture: artfintech.one was shaped as a result of this. What are the biggest challenges you have come across? Resistance for a more democratic and transparent art market, especially from the so-called protagonists. 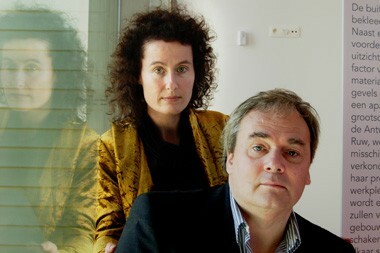 You and your partner co-founded BiennaleOnline which was the first online contemporary art biennale. 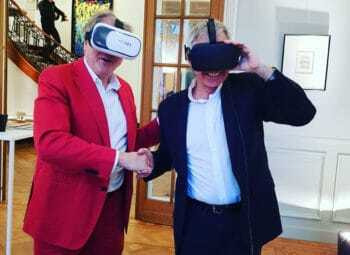 Do you think there will come a time when we see more art fairs happening online or through mediums such as VR? Definitely. The main takeaway from that exhibition was that we needed a platform to share digital native art forms in a secure manner. Our focus in building the end-to-end platform over the past four years is a direct result of that exhibition. As part of the project we not only built software tools, but also created the appropriate protocol and services to enable more inclusive formats that are more suited to sharing digital art. You are currently in the development stages, but can you tell us about your company artfintech.one? Artfintech.one is a technology company that brings inclusive financial services to the art world. 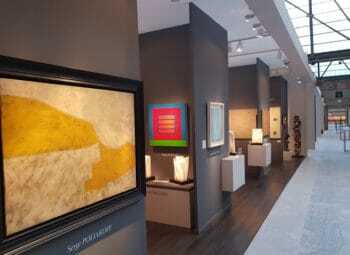 We focus on innovation at the revenue side creating a new segment for the art market. The world has enjoyed borderless information since the inception of the internet. Recently, cryptocurrency was added and that created borderless money. The missing final piece for a borderless internet of value was tokenization. Our ecosystem creates a utopian economic model whereby art and finance finally play nice together by creating ever increasing value for all the stakeholders involved. Removing human interference as a result of trustless blockchain-based smart contracts that govern access and execute payouts is the key enabler here. artfintech.one’s ecosystem is one of the very few “real blockchain use cases with a new business model and trust distribution”. 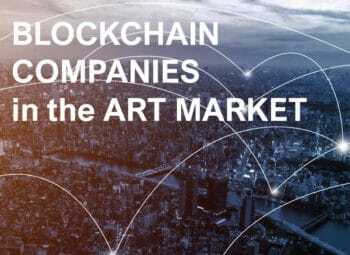 After 4 years of intense development, the artfintech.one ecosystem recently marked an important milestone with its first real-time transaction of an online issued art-based asset token based on fractional ownership of the master copy, governed by the Patron Protocol, thanks to the artist Dragos Alexandrescu and the lead angel patron Dr. Catrina Luchsinger- Gähwiler from Froriep law firm in Zurich. The work is called “The Absence of Presence”. In the short video artwork, the artist reflects on the absence of our physical interaction online and its consequences on our social behaviour. And WUNDER, are the two companies linked? WUNDER will be created in Q2 2020 as a non-profit organization and will be linked via its owners to artfintech.one. artfintech.one will not only provide the required technology but also, WUNDER will receive standard Share 8 in any Digital Art Fund fund(ed) work. WUNDER is a very interesting concept. How was the idea conceived? The idea for the WUNDER Museum for Digital Art is a direct result of our interest in reviving the 16th century concept of the Wunderkammers. These Wunderkammers were the privately accessible decentralized predecessors of our publicly accessible centralized museums. WUNDER is the next logical step in the evolution, offering a publicly accessible decentralized model, built for a digital era. What types of tokens exist and how should they be moderated? The idea is actually simple. 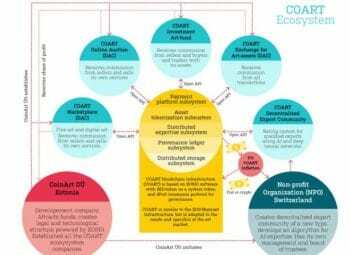 Artfintech.one deploys Blockchain technology using a sophisticated Open Source Smart Contract called Patron Protocol as well as several decentralized APPs (DAPPs) to govern and manage access and ownership. The EOS token is required to access and utilize one of the DAPPs. This Protocol manages the ownership, access rights and authenticity automatically. 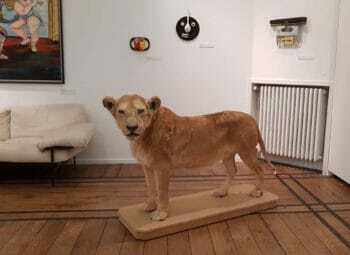 It enables artists to issue work-backed tokens through the Patron Protocol. 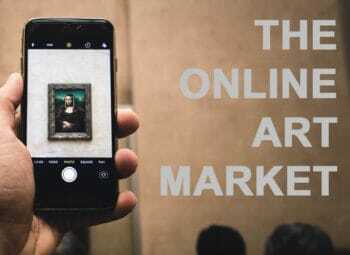 Therefore, it allows an easy peer-to-peer selling of partial ownership of their works through art-asset backed tokenization of the master copy of the related works through this new platform. Whereas the tokens’ compliance and token standard used regulate ownership and access while creating value. Only transfers meeting the requirements of offerings’ use and resale rules can happen, which is regulated on the individual token level. Can you talk us through the patron protocol? The Patron Protocol is a Smart Contract that enables artists to tokenize – create a master token of their work – in the form of a digital master copy. This master token is then split via tokenization into 8 equal fractional Tokens (share #1 to 8, called Genesis Tokens), each represents a 12,5 % share of the master token/copy. Whoever holds the majority (12,5 % max. per share#) of such a Genesis Token at a given time gains permanent access rights to the work and is called Lead Angel Patron. The Lead Angel Patrons as well as regular Angel Patrons (those who hold just a minor portion of the 12,5 % share in the Genesis Token) have the right to sell their complete Genesis Token or just a fraction of it to others at all times for an agreed upon price Every (Lead) Angel Patron of a share or a fraction of it is entitled to participate on revenue generated through paid access of this work (temporary access & exhibitions). The Patron Protocol deploys the technical infrastructure for authenticity, access and ownership management of digital art works (respectively shares of it). It gives us the foundation to securely and efficiently deal with digital art and the related rights. The Patron Protocol has several community tools implemented to ensure the building of a strong community that fuels the ecosystem and benefits all participants. 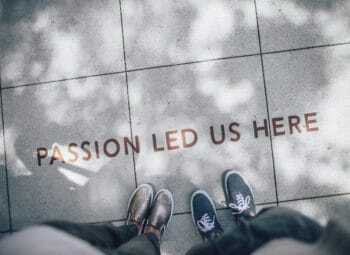 The pool of Lead Angel Patrons plays a crucial role in the ecosystem, since they deploy context and support for the art for each individual work. This creates micro level patron support on the level of every piece of art work. 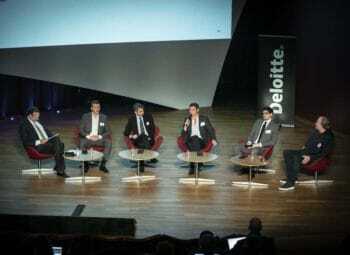 You recently spoke at the Deloitte Art and Finance conference in Luxembourg, the panel spoke about the challenges of deploying blockchain in the art market to allow fractional investment in artworks. Where does the desire for fractional investment come from? What do you hope for the future for artfintech.one and WUNDER? 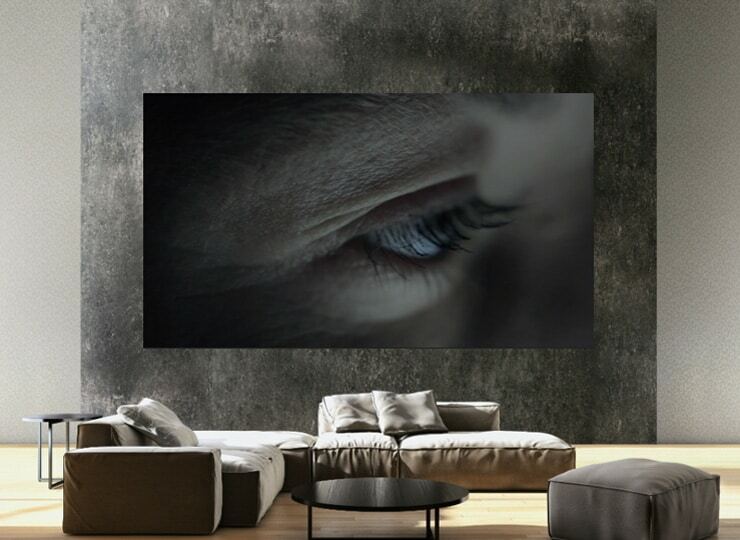 The format and the delivery mechanism might evolve, but the fundamentals of great art and delivering value in an aesthetical, emotional, inspirational way, will always be there. We can’t wait to see artfintech.one and WUNDER help to create an ecology that enables a new, more inclusive and democratic art market, fit for the digital era.